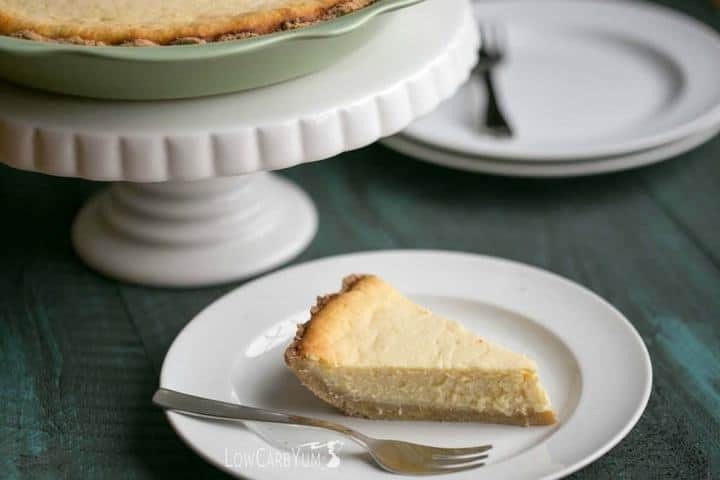 This sweet low carb ricotta cheese pie is a delicious recipe that is a must try. Great to make during the holiday season or whenever your craving something rich. I can’t believe Christmas Day is only a few days away. My husband gave me an early gift this year. Last week, he asked me to pick out paint colors because he was hiring a painter to paint the first floor rooms in our house. So, on top of the busy holiday preparations, we have been moving the furniture around to get everything away from the walls so they can be painted. Things are almost done and I’ve been busy dusting everything that was taken off the walls and doing some cleaning. I didn’t put many holiday decorations out this year, but once the house is in order again, I may put out a few more decorations to brighten things up for Christmas Day and New Years. I wish you all a Happy Holiday. And, I hope the new year brings you health and happiness. No holiday can be complete without a delicious dessert. 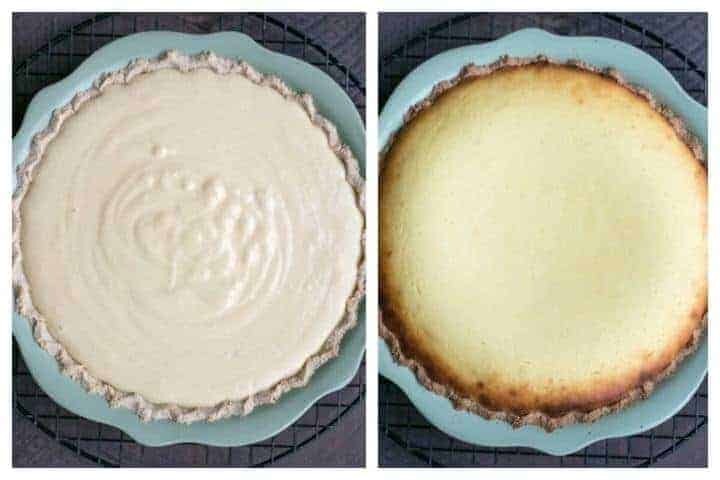 This year, I baked a low carb gluten free sweet ricotta cheese pie. 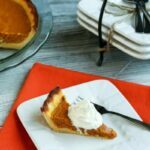 The pie is a nice change from the regular cheese pies make with cream cheese and it makes a perfect holiday dessert. 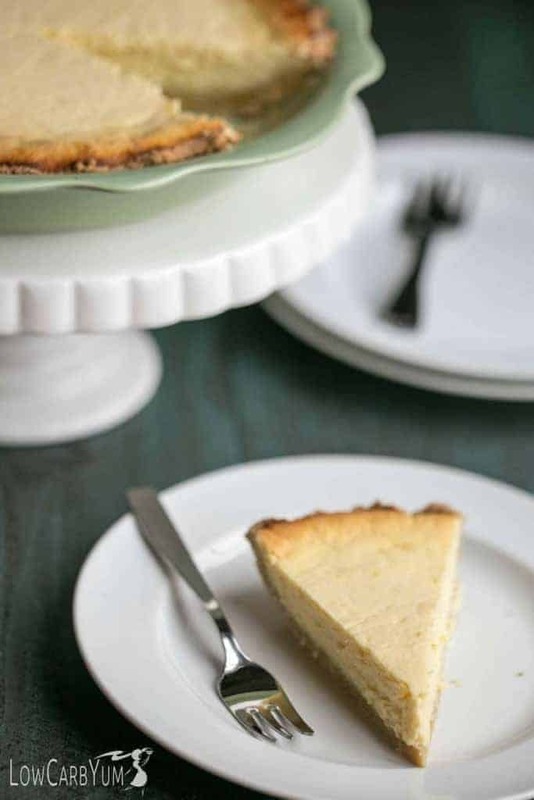 In fact, a ricotta pie is popular to serve at Easter dinner. I chose to use an almond flour crust with the pie. It’s a simple crust made with finely ground almonds, butter, a touch of sweetener and some extract. To enhance the flavor, I added some vanilla extract. But, an almond extract would also be nice flavor enhancer. 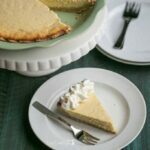 The filling in this ricotta cheese pie is similar to cheesecake, but the ricotta makes it a bit richer. You can serve the slices plain if you’d like, but I prefer to serve them with whipped cream on top. If you want to dress it up even further, you could sprinkle on some shaved chocolate or sugar free chocolate chips. 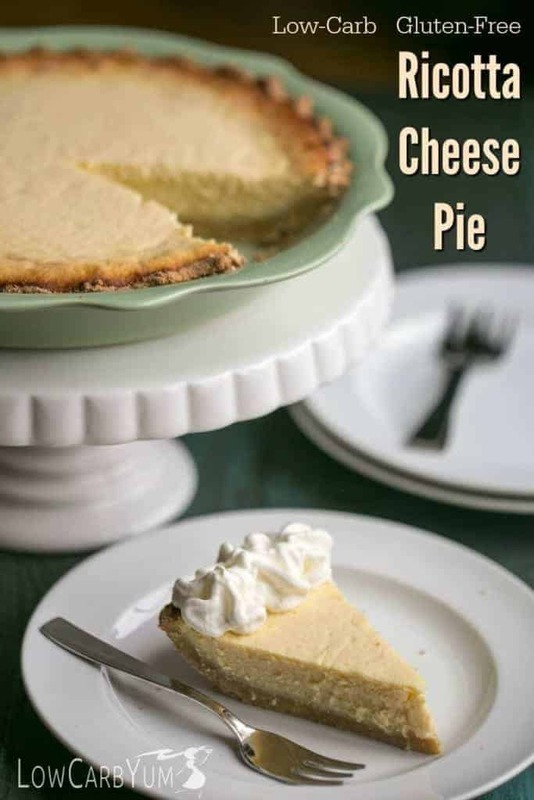 The original photo for this low carb gluten free ricotta cheese pie wasn’t that great so I have added new photos from the pie I made for our Easter dinner. Hopefully, this yummy recipe will get more love with the better images. 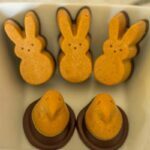 Some of you long time visitors may have noticed that I’ve been slowly going back and updating recipe photos. It’s taking a long time to get to them all. As I go back through the archives, I often see a forgotten recipe. If I make the recipe again, I snap a few pictures. My food photography skills are getting better and I’ve come a long way since starting this blog. 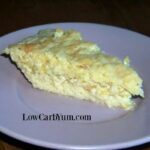 Even though the original recipe image wasn’t a good one, this low carb and gluten free sweet ricotta pie did very well. That’s because it’s such a great recipe, especially for Easter and other holidays. 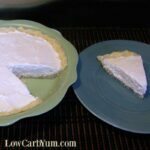 If you’ve never had a sweet ricotta cheese pie, you should definitely try this low carb version. 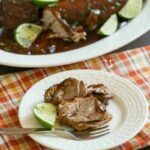 We love it and will continue to bake it as a low carb option at our family dinners. 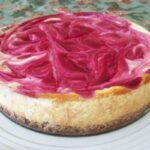 If you like this recipe, you may also like my no bake mini ricotta cheesecake recipe. I used a fiber sweetener in the mini version. 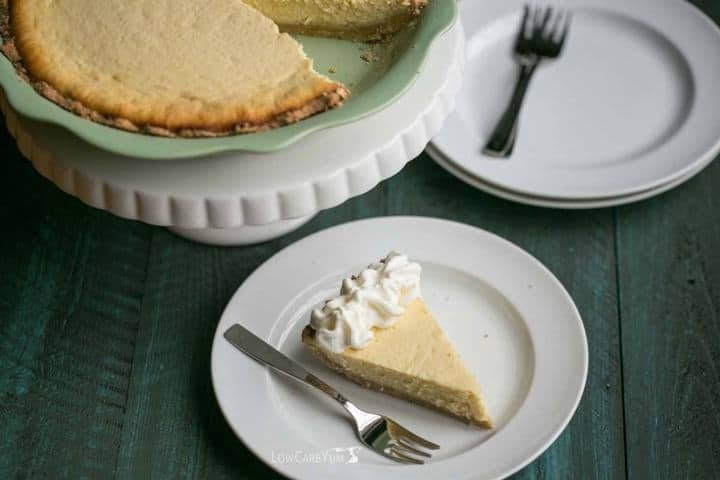 This sweet ricotta pie is a delicious recipe that is a must try. 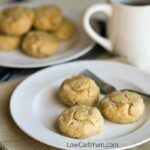 Great to make during the holiday season or whenever your craving something rich. 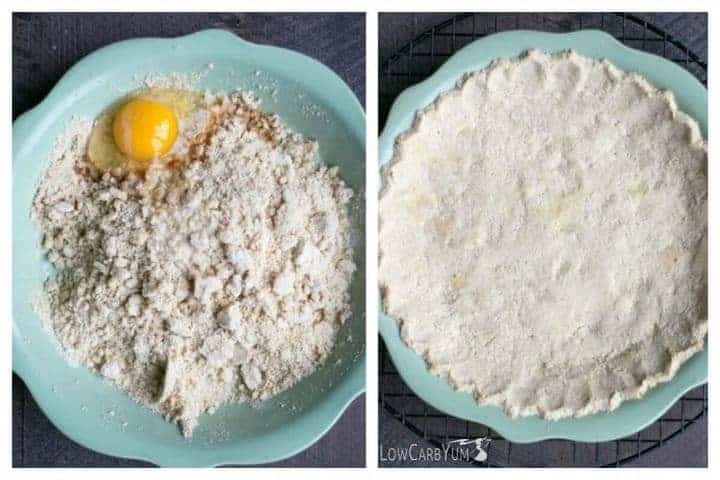 In deep dish pie plate, mix together almond flour, 3 tablespoons equivalent sugar substitute and 1/4 teaspoon salt. Pour in butter, 1 egg and 1 teaspoon vanilla. Press into pie plate. Bake at 350 degrees F for 10 minutes. Set on rack to cool slightly. 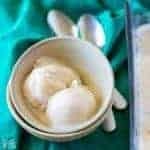 In a large bowl mix 4 beaten eggs, 1 teaspoon vanilla, ricotta cheese, coconut flour, 1 cup equivalent sugar substitute and 2 tablespoons other sweetener. Pour into crust and bake at 350 degrees F for 45 minutes or until lightly browned and firm. HI I decided to try this and take it to bible study tonight – it has been in oven about 50 minutes and middle is still a bit wiggley – how firm is firm? i know sometimes things keep cooking. It should be taken out when the center is still a little wiggly. Blueberry syrup is great as a topping. 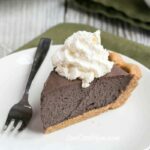 Thoughts on adding unsweetened shaved chocolate in the filling? It’s a good way to add in chocolate flavor. Do you have to use an additional sweetener? All I have on hand is Swerve. You don’t have to. Most people adjust sweeteners to taste. Should you let it cool or chill before serving? Yes! It’s best served cool or chilled. This is amazing! And so simple! Just wondering how long and how I should store it?? In the fridge, it should last at least a week. In the freezer, I’d say it will be good for 3-6 months. I can’t wait to make this! We haven’t had ricotta pie in years! It’s a regular at holiday dinners for us. I hope you like it!